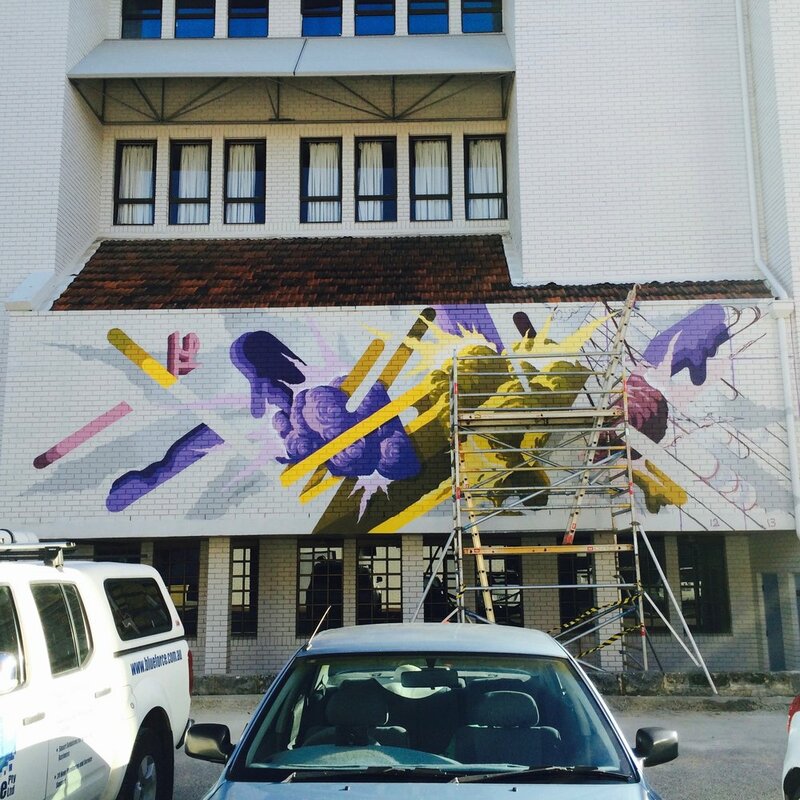 This mural was completed as part of FORM's public festival. It was one of the first murals and painting that i haven't focus on typography which was big change for me at the time. I have always admired and been inspired by the work of the Russian Suprematist (not to be confused with Supremacism) and Constructivism artist's from the early 20th century, particularily El Lissitzky (especially his Proun series of paintings) and Kazimir Malevich. 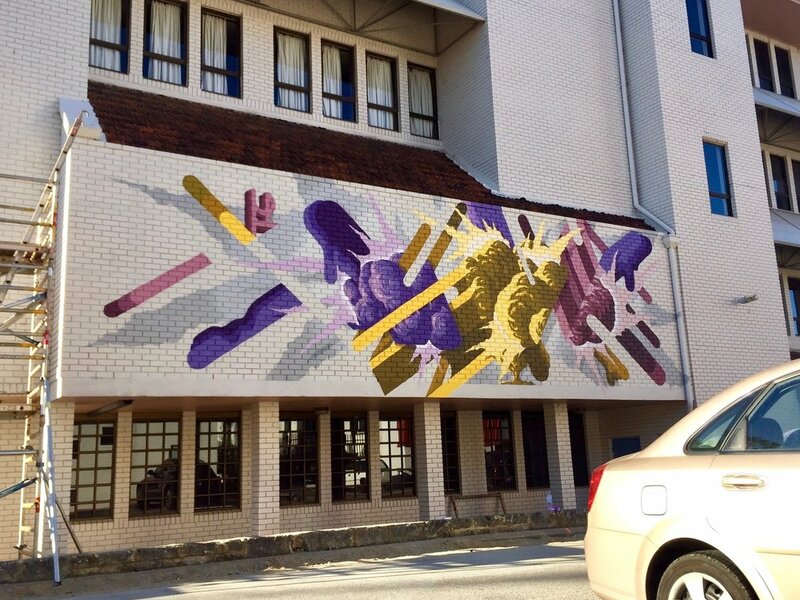 My aim was to produce a contemporary Suprematist mural using the visual language and motifs from traditional graffitti, Pop art and Comics including; bubbles, extrusions, drips, explosions and geometric shapes.